Well, being this is the Squirrel Chatter Blog, I thought I should put one of the stars up for comment. My little buddy is cleaning up the sticky stuff from his breakfast. 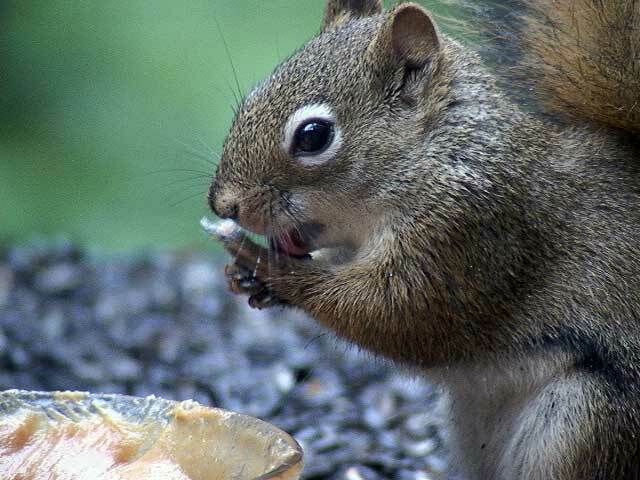 Be sure to stop by at the www.thesquirrelcam.com for a visit. If they could talk (utter words) I bet they really really would chatter. Sticky stuff? Peanut butter? My father-in-law used to take walnut halves, dip them in peanut butter and leave them on a tree brance for a squirrel who lived in his yard. If the daily peanut butter treat wasn’t forth coming, the little fellow would show up in the flower box outside the dining room window at dinner time.